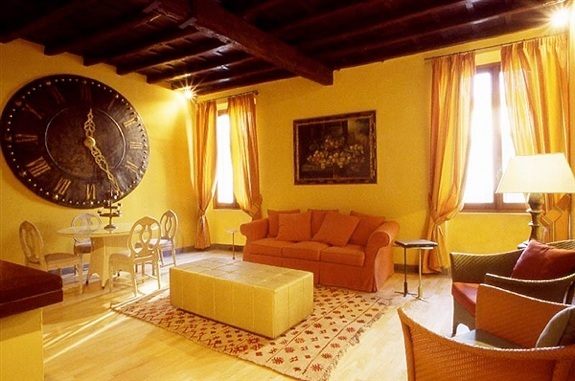 And the Palazzo Manfredi doesn’t only have views of history. The hotel itself is in a 16th-century palace. And it’s located on the grounds of an ancient gladiator training camp, some of the remains of which can be seen next door. The hotel’s 16 rooms, though, are decidedly modern. 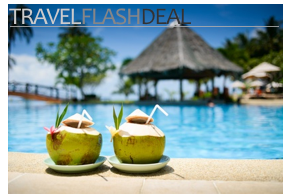 They feature free wifi (as all hotel rooms should), flatscreen televisions and cool Tivoli Audio stereo systems. 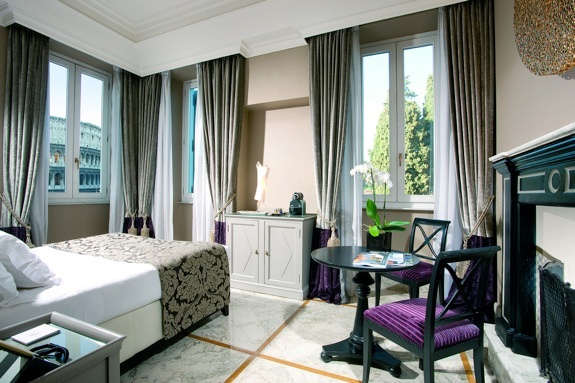 Other great bonus: The Palazzo Manfredi lends each guest a complimentary iPad or laptop to use during their stay. The rooms also feature rain showers, plush beds and velvety furnishings. All that in a space that’s larger than your typical Italian hotel room. 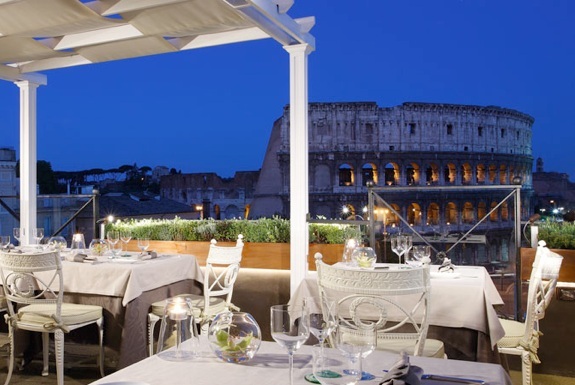 As great as the rooms are, it is the Palazzo Manfredi terrace restaurant that is truly superlative. 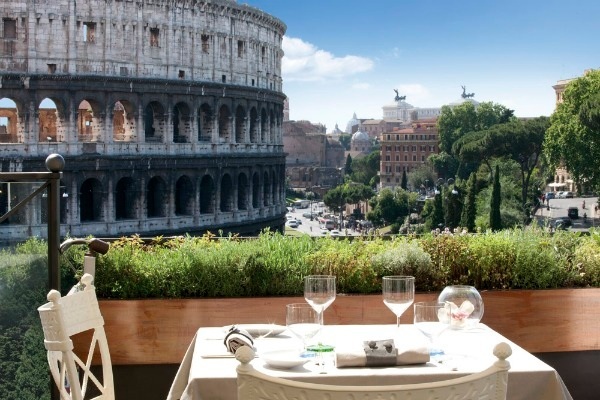 Show up early, get a table with an optimum view and you’ll almost feel like you can reach out and touch the Colosseum looming on the other side of Via Nicola Salvi. The bummer of it being that said terrace restaurant is overpriced, even after accounting for the fact that it serves excellent food prepared by a Michelin Star chef. Breakfast, the restaurant’s most reasonably priced meal, will set you back around €30. If that’s too steep, consider heading to the Palazzo Manfredi’s bar for an evening drink. The view from the rootop bar isn’t quite as good as it is from the restaurant, but the Colosseum looks extraordinary when all lit up on a clear night. The only complaint Spot Cool Stuff has heard from people to whom we have suggested the Palazzo Manfredi is that it is inconvenient for visiting the sights of the Vatican City. 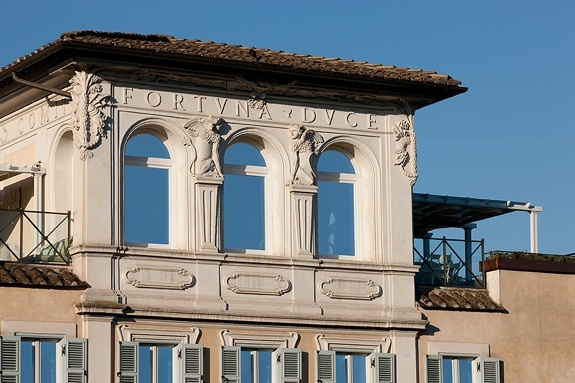 To us, the hotel’s central Rome location is a positive—it’s close to the Forum and the Colosseo metro stop; the train station and the National Roman Museum are a 20-minute walk. Yes, there’s no direct public transportation route to the Vatican, 4.5km away. But taking a taxi there is still a much easier task than, say, battling lions. 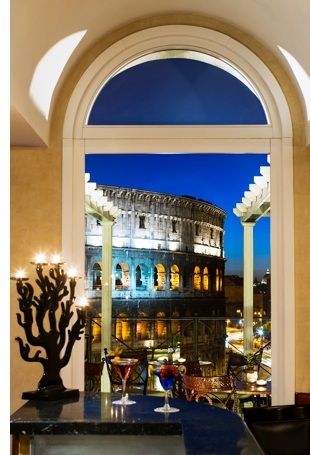 If you go: Definitely get a room in the “Queen Deluxe” category or higher—those are the ones with a Colosseum view. The rooms sans view are nice enough, but for the price you can find better. Family friendly? The Palazzo Manfredi’s restaurant is a bit snooty and the hotel doesn’t do anything to cater to kids. While children are welcome the hotel isn’t particularly family friendly.